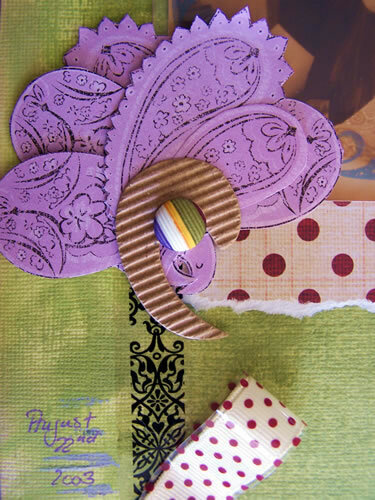 Und hier der dritte und letzte Teil meiner Arbeiten mit dem Scrapmuse OKtober Kit. 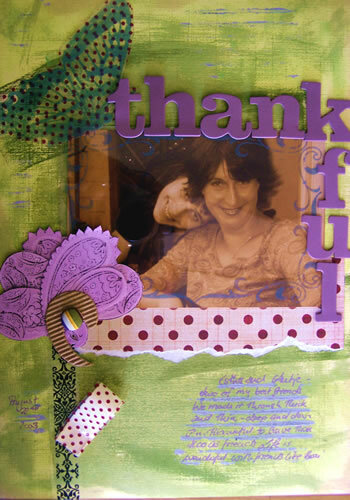 And here is the third and last part of my work with the Scrapmuse October kit. 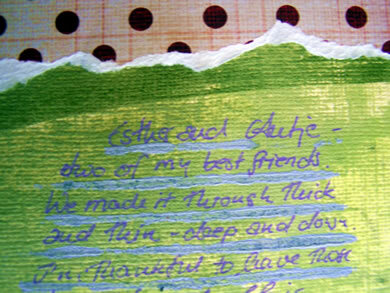 Journaling: Esther and Antje- two of my best friends – We made it through thick and thin – deep and down, I’m thankful to have these two as friends. Life is wonderful with friends like this. I had several inks for the background. 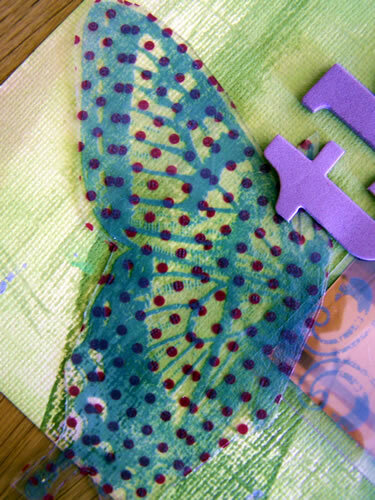 Tape added under the transparency butterfly. 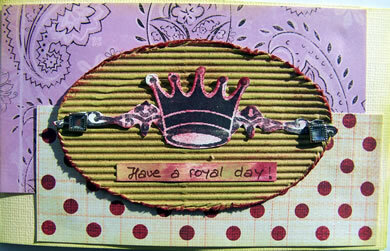 Stamped the journaling lines iwth corrugated cardboard. Awesome job Nat! THANKS for working so hard to get things done on such a short time!! You’re the best! That paisley flower is the best,beautiful Nat! Wow, dein Layout ist wirklich genial!!! Ich liebe deine Art zu scrappen!!! Hmmmm, love the butterfly and the paisleys!! Wunderschoen – die Farben sind einfach genial und das layout ueberhaupt ist ganz toll!